​Footwear is the most critical part of your Hiking gear. Good footwear will go unnoticed. Bad footwear will ruin your day. Hiking gear all starts with your boots. The right boots are critical for your sanity. Bad boots will only lead to heartache. Since there is a huge range of boots (both in price and capabilities) on the market, this is one piece of gear that you should spend some time evaluating. The criteria that we use to evaluate boots are: 1) fit, 2) arch support, 3) ankle support, 4) tread, 5) weight, 6) waterproofing, 6) durability, and 7) price. 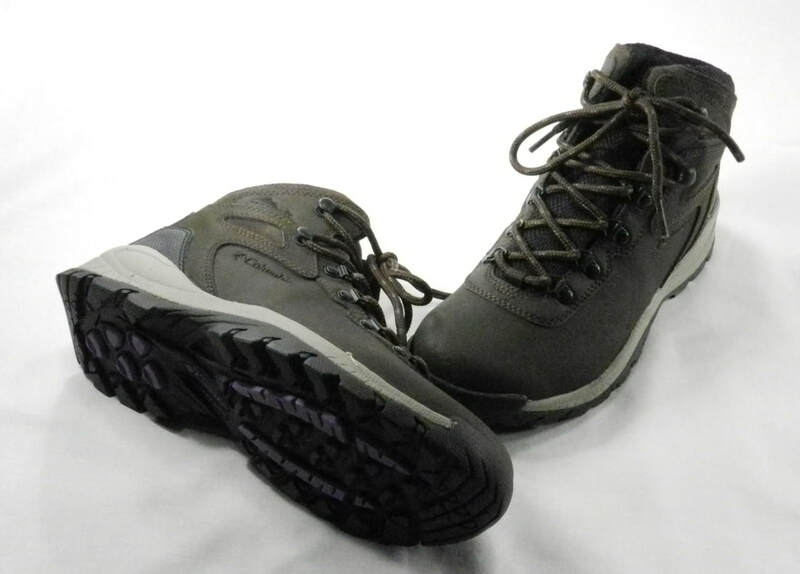 We chose the Merrell Moab Mid Waterproof Hiking Boots because they have high sides that provide good support, have good tread for fields/trails/mountains, weigh less than one pound per boot, are waterproof and had a reasonable price. These boots are great for normal hiking. If you want a really serious boot you might look elsewhere, but for normal hiking and camping these boots work great for us. You can buy these hiking boots at Amazon. The boots that are right for one person are not necessarily the right boots for another person due to a variety of factors. That’s why we recommend that everyone thinks about what matters most to them and tries on various boots to see what they like the best. In all cases the criteria that we use to evaluate boots are: 1) fit, 2) arch support, 3) ankle support, 4) tread, 5) weight, 6) waterproofing, 6) durability, and 7) price. In my wife’s case she chose Columbia Women's Newton Ridge Plus boots because they are narrower than many boots, have higher sides to provide better ankle support, are made of full grain leather with a water and stain resistant treatment, have a compression-molded foam midsole and a sturdy bottom rubber sole. You can buy these hiking boots at Amazon. The boots that are right for one person are not necessarily the right boots for another person due to a variety of factors. That’s why we recommend that everyone thinks about what matters most to them and tries on various boots to see what they like the best. In all cases the criteria that we use to evaluate boots are: 1) fit, 2) arch support, 3) ankle support, 4) tread, 5) weight, 6) waterproofing, 6) durability, and 7) price. In my daughter’s case she chose Merrell Women's Reflex Waterproof Mid Hikers because they have air cushioned heels, waterproof leather uppers with breathable, antimicrobial mesh linings, and reflex outsoles for stability and traction. 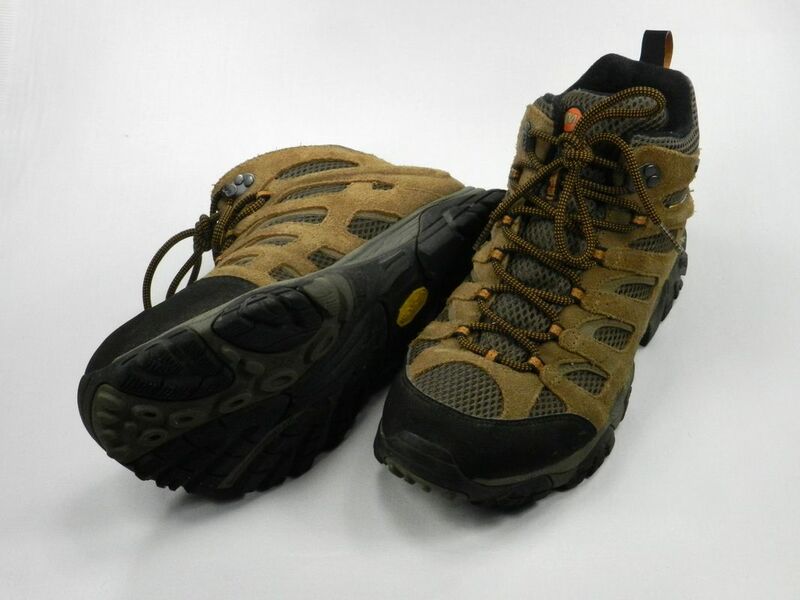 You can buy these hiking boots at Cabela’s or a variety of other Merrell’s women’s hiking boots at Amazon. Once you have the right pair of hiking boots you need the right socks to go with them. The criteria that we use to evaluate hiking socks are: 1) cushioning, 2) feel against your skin, 3) warmth, 4) durability, and 5) price. For the best overall combination we prefer merino wool socks since they provide good comfort with extra cushioning around the heel, are itch-free and retain their warmth when wet. 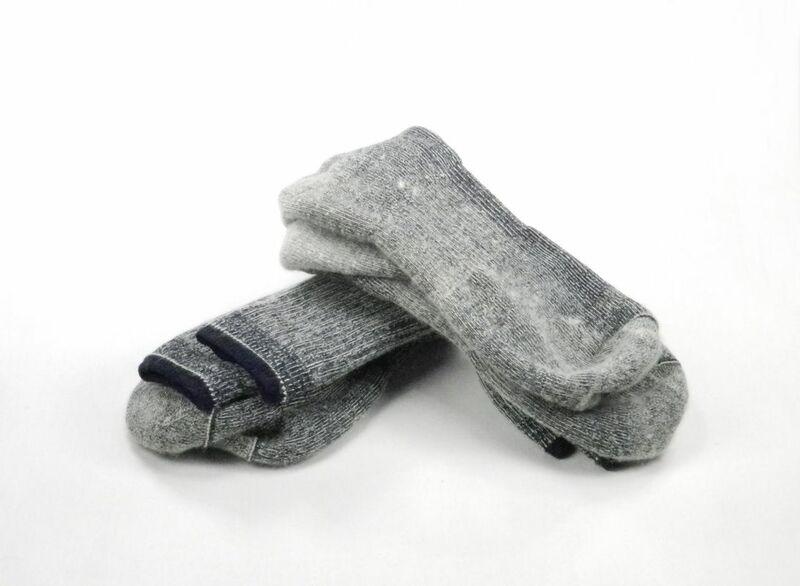 Although we bought our socks at EMS, you can buy similar wool hiking socks at Amazon. Wool socks provide the comfort that you need – but even the best wool can be abrasive against your skin on a long hike. To minimize this issue, and to wick sweat away from your feet to keep them dry and comfortable, we recommend wearing a lightweight pair of liner socks underneath your wool socks. 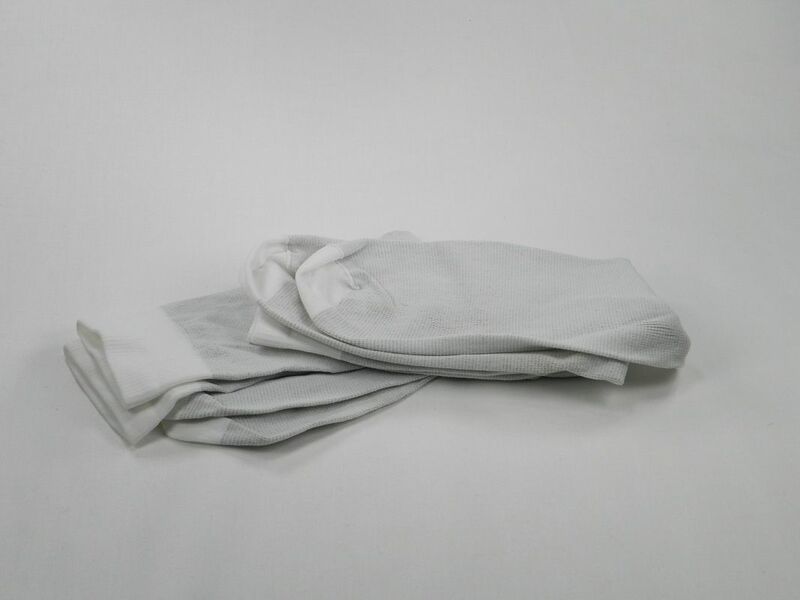 The criteria that we use to evaluate liner socks are: 1) smoothness against your skin, 2) ability to wick away water, 3) durability and 4) price. Although we bought our socks at EMS, you can buy similar liner hiking socks at Amazon. The other critical piece of your footwear is something to keep the brush, burrs, dirt, mud and other crud out of your boots. Although some people just wear long pants, we prefer gaiters since they do a much better job and can be easily removed and cleaned at the end of the day’s hike. The criteria that we use to evaluate gaiters are: 1) fit from shoe top to knee, 2) material’s ability to shed brush, 3) durability, 4) water resistance, 5) ease of putting on/taking off and 6) price. 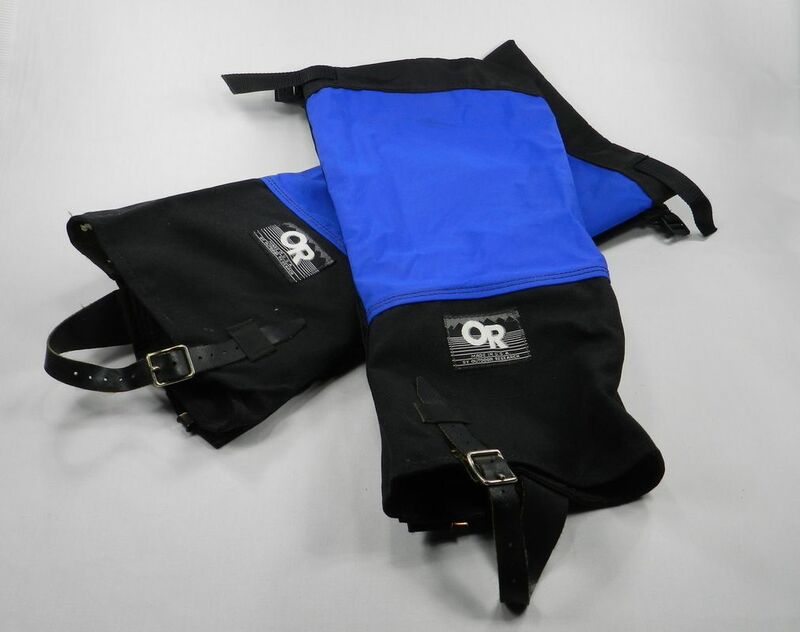 We bought our Outdoor Research Men's Gaiters because they are full height, tough and easy to put on/take off. You can buy these gaiters at Amazon.. Since gaiters have to fit your leg and fit over your boots - what works for you is as individual as your boot fit. The criteria that we use to evaluate gaiters are: 1) fit from shoe top to knee, 2) material’s ability to shed brush, 3) durability, 4) water resistance, 5) ease of putting on/taking off and 6) price. 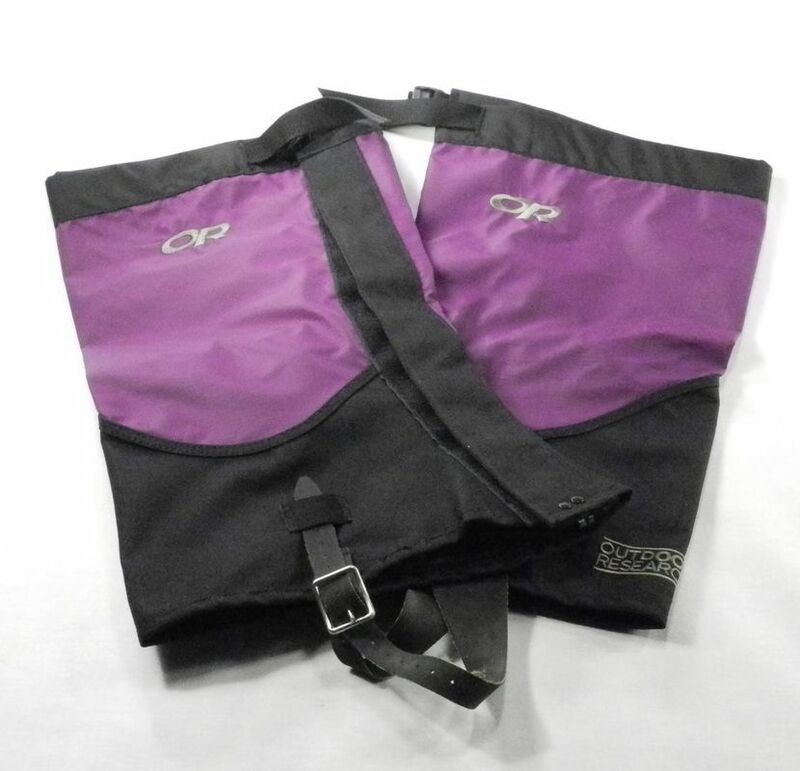 My wife’s wears Outdoor Research Women’s Gaiters because they are full height (18” tall x 17” in total circumference), weigh ~5 ounces each, are made out of tough ripstop nylon, have a webbing/cam buckle top closure and are easy to put on/take off. Although this specific version of women’s gaiters is no longer sold you can buy several different types of women’s gaiters at Amazon. Since gaiters have to fit your leg and fit over your boots - what works for you is as individual as your boot fit. 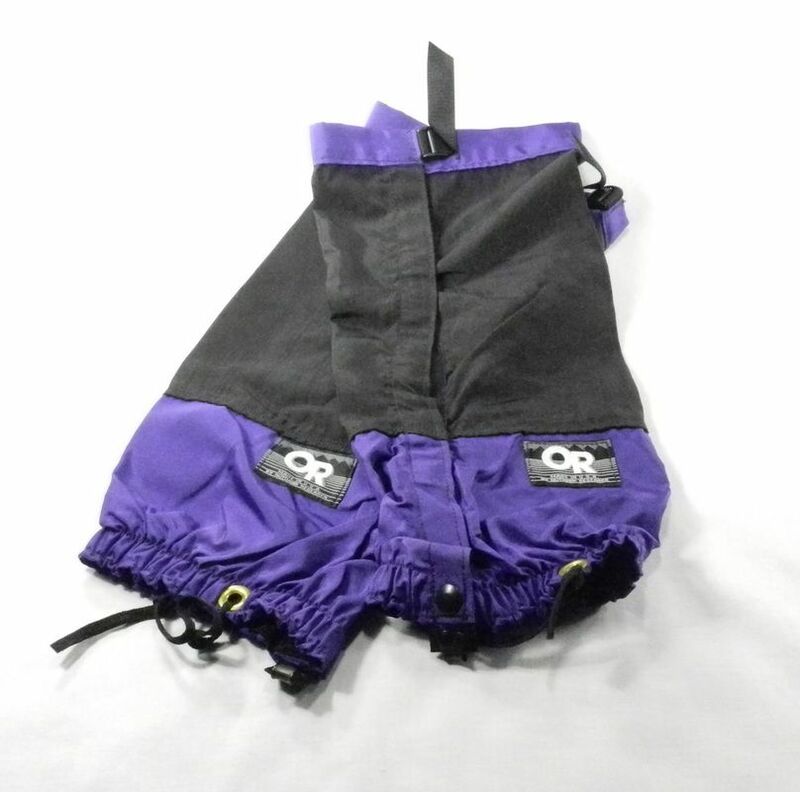 The criteria that we use to evaluate gaiters are: 1) fit from shoe top to knee, 2) material’s ability to shed brush, 3) durability, 4) water resistance, 5) ease of putting on/taking off and 6) price. My daughter wears Outdoor Research Women's Verglas Gaiters because they are full height on her (14 ½” tall x 17 ½” in total circumference), weigh ~4.4 ounces each, are made out of 70D ripstop nylon, with a Cordura 500D inner leg and boot, have a webbing/cam buckle top closure, a sturdy hypalon instep strap, a molded boot section with a reinforced boot lace hook and are easy to put on/take off. You can buy these women’s gaiters at Amazon. 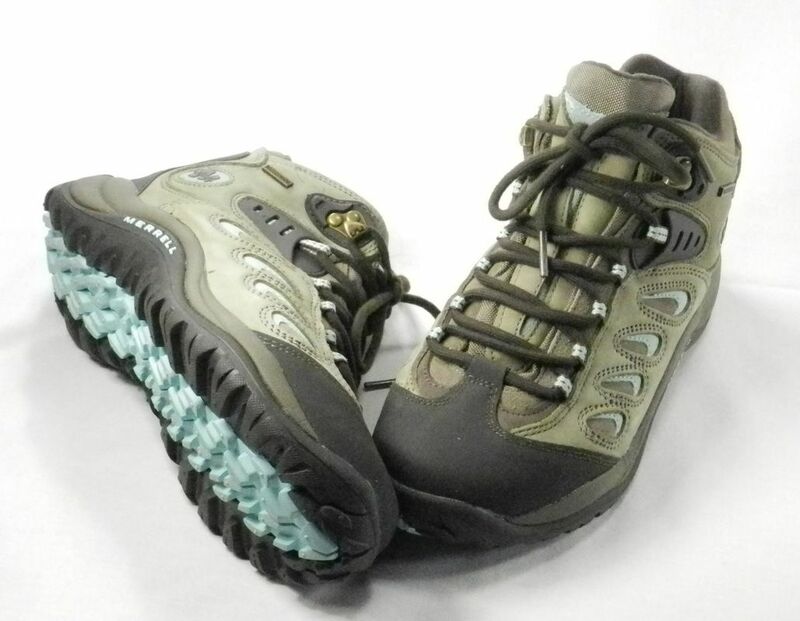 If you plan on doing any hiking in the snow then you need a pair of boots specifically made to weather the cold and wet elements. The criteria that we use to evaluate snow boots are: 1) fit, 2) warmth, 3) waterproofing, 4) tread grip, 5) ability to remove and dry inserts, 6) weight, 7) arch support, 8) ankle support, 9) durability, and 10) price. We use Baffin Sequoia boots when we are out in the New England winter weather because they stay warm and dry in the snow, and are lightweight enough to wear for an extended period of time. 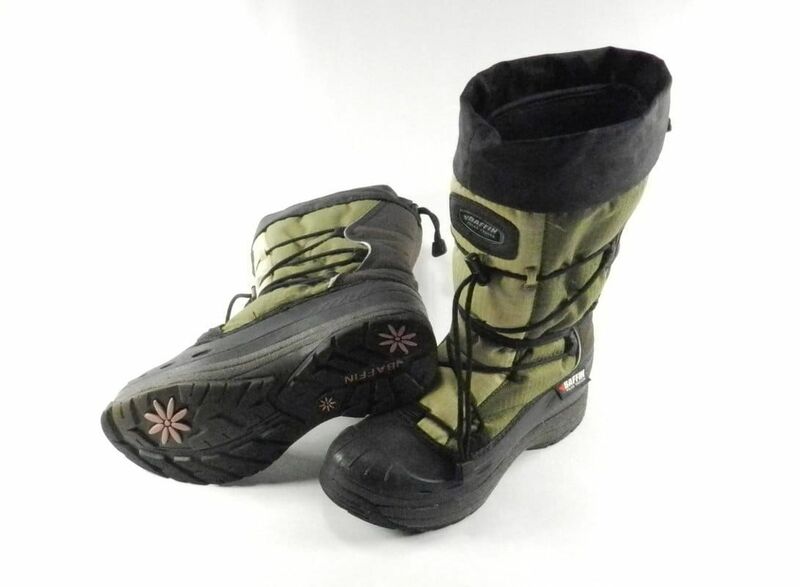 These boots have a waterproof bottom "shoe" that covers the entire foot, and a tall waterproof nylon upper with locking snow collar and a cross-Shaft speed-lace setup and top draw string to keep the snow out of the top of the boot. The temperature rating on these boots is down to -58F (-50C). The inserts are removable so that you can take them out after a long day in the elements and dry them off either inside or by your campfire. Although these boots don't have as much arch or ankle support as our normal hiking boots, we find that we don't hike as far in the winter weather so trading off the support for the weather protection and traction in the snow is a good trade. You can buy the latest version of these hiking boots at Amazon. As with normal hiking boots, different boots fit different people; and a good comfortable pair of snow boots is critical for winter hiking. The criteria that we use to evaluate snow boots are: 1) fit, 2) warmth, 3) waterproofing, 4) tread grip, 5) ability to remove and dry inserts, 6) weight, 7) arch support, 8) ankle support, 9) durability, and 10) price. My wife and daughter use Baffin Snogoose boots when we are out in the New England winter weather because they stay warm and dry in the snow, and are lightweight enough to wear for an extended period of time. 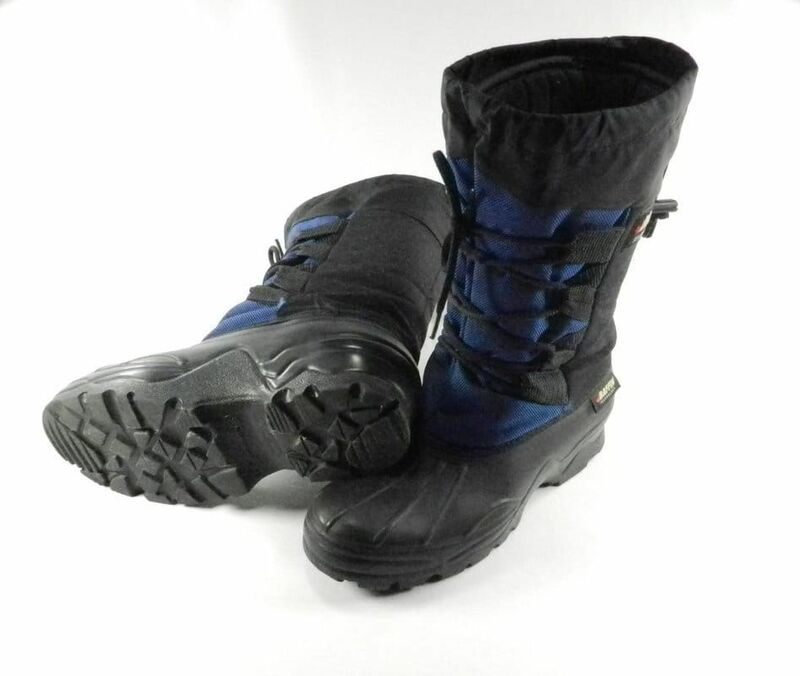 These boots have a waterproof bottom "shoe" that covers the entire foot, and a tall waterproof nylon upper with locking snow collar and a side-to-side lace fastening with toggle and top draw string to keep the snow out of the top of the boot. The temperature rating on these boots is down to -40F (-40C). The inserts are removable so that you can take them out after a long day in the elements and dry them off either inside or by your campfire. Although these boots don't have as much arch or ankle support as their normal hiking boots, we find that we don't hike as far in the winter weather so trading off the support for the weather protection and traction in the snow is a good trade. You can buy these hiking boots at Amazon.